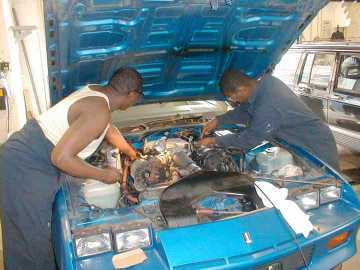 Delano Bernard and Loogens Dorval enjoy their Automotive Technology class a lot. Skills they learn in this class can be very helpful to them in the future. 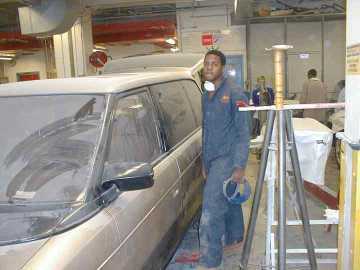 Rob Joseph is studying Auto Body Repair Technology. Auto body repair requires artistic skill as well as mechanical skill. Marina Sanchez is studying Hotel/Travel. In Hotel/Travel students learn about the hotel industry and get experience in sales, hotel industry and get experience in sales, convention and banquet planning, and guest services. 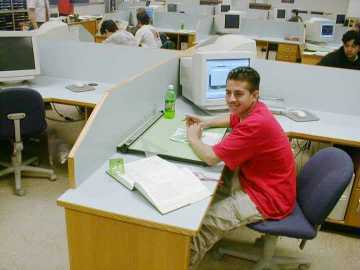 Luis Ayala is studying Drafting and design at Edison, there he learns how to develop drawings using mechanical and computerized methods. Xiomara Larios has been studying cosmetology at Edison for three years. what she learned about anatomy and physiology in her cosmetology class helped her decide to become a nurse. 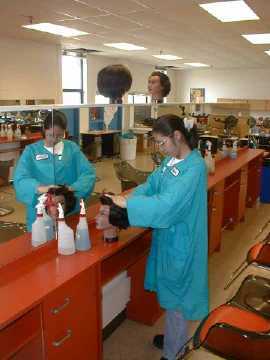 Next year she will have a part-time job in a hair salon, Her job will help her pay the expenses of her nursing program in college. 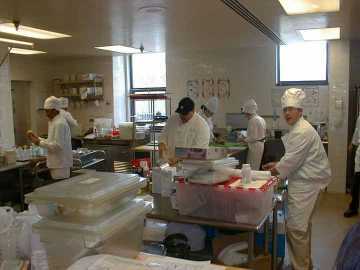 Students can also choose to study a career like Professional Restaurant Management. Edwin Reyes, a former Blair student, is learning masonry at Edison. 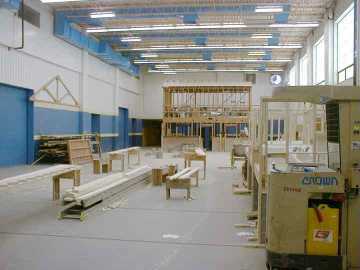 Students can learn other construction jobs like carpentry and heating/air conditioning. No, you won't get a chance to sleep at Edison. 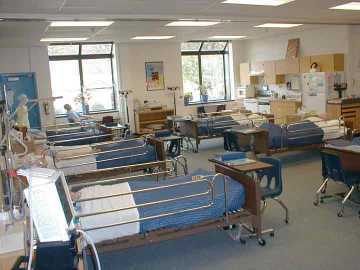 This is the lab for Medical Careers where students learn about different kinds of jobs in the health field. 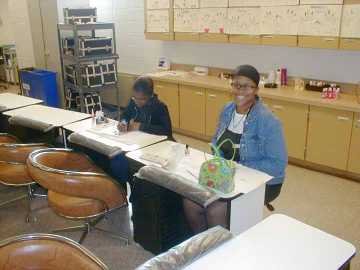 Jacquelin Clinton and Lauren Grady are learning how to do nails at Edison.